Home » Discover the Marais » Who we are ? This work aim is to change the hydraulic structures in order to help manage the water on this part of the site and to limit the development of the jussies. Throughout the construction period, the trails of the Etourneau remain open to the public. See you soon in the Marais du Vigueirat. From the 30th of September to the 1st of October. A moment to share around the Festival of Gastronomy picnic at the Marais du Vigueiratt. 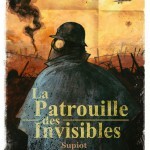 Rendez-vous at 4pm for the Comics-Concert « la Patrouille des Invisibles » by Olivier Supiot and Zenzika. 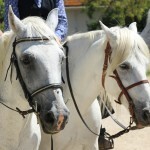 The Ethno bistrots of the “Musée de la Camargue” take the key of the fields and settle beyond walls. If the ethno bistro is strolling, its formula does not change: ethnologists or historians present a work, a film or a conference on a subject set with music and flavors, during a meal. A full evening in which we learn, we chat and enjoy! 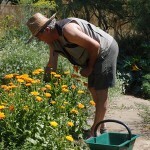 In recent years, the garden has attracted renewed interest. The signs of this enthusiasm are multiple: restoration of historic gardens, creation of new public, collective, private or associative gardens, but also by the explosion of “green” events, exhibitions, plant-exchanges and new skills. 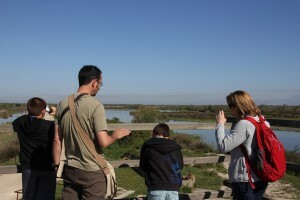 During the holidays from October 21st to November 6th, the Marais du Vigueirat invites you to discover the Camargue and its secrets thanks to a special program for good moments to share with family. 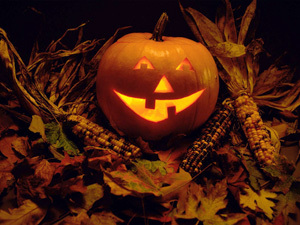 Witch hunt and creation of evil pumpkin await you! The route takes you into the reed bed, then along the canal, montilles and tamarisks. Before the sansouïre, it sails between bodies of water and temporary pools. Observatories and panoramic towers makes a close observation of the fauna possible. 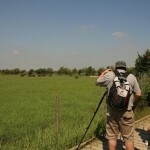 The naturalist guide will provide a telescope to discover the bird diversity. The four Etourneau trails of four kilometers long in total have different themes and are accessible from sunrise to sunset. The guide will take you in small groups with a minibus to the heart of the National Nature Reserve. Observatories make close approach of the wild fauna possible, in particular for birds. A visit to the high ground of the site where a herd of horses and bulls of the Camargue race graze. The return of the birds that have spent the winter in Africa or in Spain allows beautiful observations. 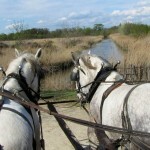 A discovery of landscapes and nature in the Camargue. 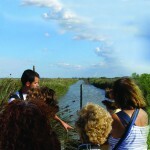 These visits take you in different parts of the site to the discovery of livestock and wildlife in the Camargue. 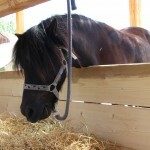 For the children, a first contact with the pony makes it safe with the animal. The child can then go for a walk with an adult. Preserved natural site of ​​1200 hectares at the junction of two remarkable ecosystems that are the Rhone delta and the stony desert-like Crau, the Vigueirat Marshes are one of the most remarkable properties of the Conservatoire of the Coast in the Camargue. In this exceptional site, you can discover a great floristic diversity with a mosaic of natural wetlands where more than 2000 plant and animal species live : over 300 species of birds have been observed, including all species of herons of Europe, and up to 35 000 ducks in winter. 5 herds of Camargue bulls and horses grazing on the field. 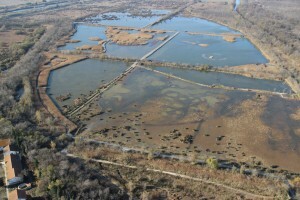 The natural heritage of the Vigueirat Marshes is recognized nationally and internationally. 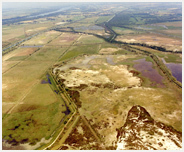 Classified National Nature Reserve, it is a central zone of the Biosphere Reserve of Camargue. The site is open to the public to discover the nature and raise awareness about the environment and its protection. All year, you can discover the Vigueirat Marshes in different ways : on foot on the “Etourneau” trails ( the “Cabins trail” and the “Palunette trail”) which are free access or with a guide or in horse-drawn carriages. For nature and bird lovers, we propose a 5km hike in the heart of the nature reserve where hides and observation towers facilitate the observation of wildlife.